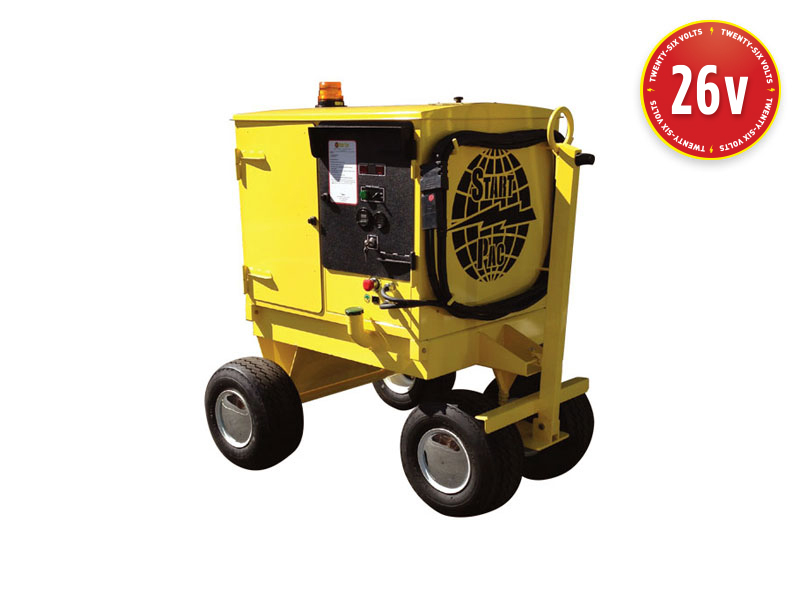 START PAC is offering the “Ranger™” as a more economical alternative to the Patent Pending Self-Propelled “Hi-Brd 3”, which provides 300Amps of continuous power for powering aircraft systems along with 3200 peak amps for starting. The new Patent Pending “Ranger™” is the only diesel powered GPU on the market to utilize Start Pac’s signature, state of the art safe Lithium Ion batteries for aircraft engine starting. It comes in at a lower weight and price than that of the “Hi- Brd 3” making it one of the smallest, quietest, most advanced, and most affordable GPU’s on the market. The “Ranger™” is equipped with a diesel engine (2 Cylinder, 14hp) that will allow the GPU to provide 150Amps of continuous power for running aircraft systems, along with 2400 peak amps for engine starting provided by the on board lithium ion batteries. These batteries are sealed, contain no liquid, and will outlast standard lead acid batteries by a factor of two to three. They also do not suffer from any sulfation issues that will cause the batteries to fail prematurely from being left sitting in a discharged state. Speak with one of our Engineers of START PAC at 1(888)901-9987 for more information and pricing about the “Ranger™” or their other ground power products.